(HARLINGEN) – Cesar Meza is a Business Management Technology student at Texas State Technical College. 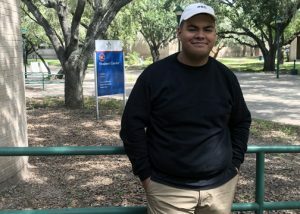 The 19-year-old hopes to receive his associate degree by Summer 2019. 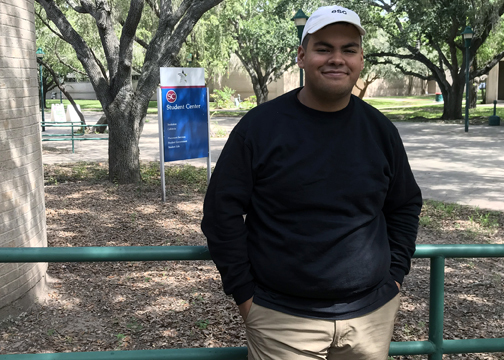 Until then, the Harlingen native has a goal of creating a Business Management Technology club so that like-minded students can come together and share their passion for business while doing community service and making the community a better place. After I graduate from TSTC, I plan on transferring to the University of Texas to pursue a bachelor’s degree in business administration. I have a passion for business. In fact, my brothers and I are starting up a clothing brand called ESC, which stands for escape. We want our clothing to be considered unique and out of the box and allow people to get creative with fashion. So my dream is to grow this business with them and become a successful clothing business owner. My greatest accomplishment has been my grades. I’m proud of myself for maintaining A’s and B’s in all of my classes. Being a college student is not always easy. It takes a lot of hard work and it’s paid off. I’m proud of myself for that. The greatest lesson I have learned is to not take time for granted. Time is a precious thing, and one thing TSTC has taught me is time management. Now I am a lot more productive with the time I am given. The person at TSTC who has inspired me the most is Social and Behavioral Science instructor Frank Coronado. He has taught me how to pay attention to detail and how to be an active listener for others and their messages. He is a great instructor and person overall who cares about his students. This may sound cliche, but my advice to future TSTC students is to never give up. No matter what cards you are dealt, you must rise and keep going. We can all achieve success; you just have to work hard and push forward. This entry was posted in Harlingen on October 8, 2018 by Amanda Sotelo Sotelo.